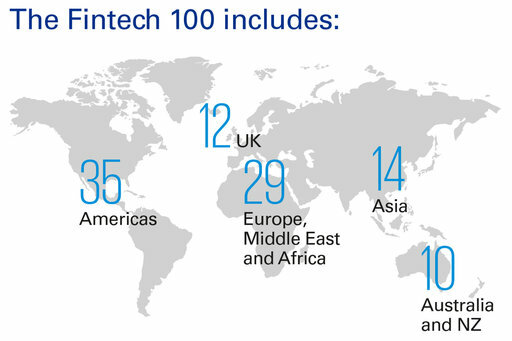 The 2016 Fintech 100 demonstrates the acceleration of the disruption taking place in the global financial services industry, with more capital than ever being invested around the world in startups and established ventures that are creating new financial products and solutions. 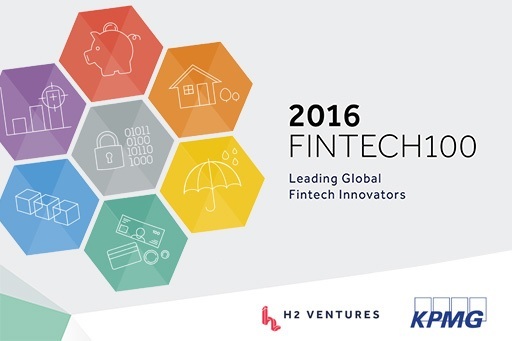 The Fintech 100 report is a collaborative research effort between KPMG and fintech investment firm, H2 Ventures. The annual report identifies the leading 50 ‘Established’ fintech companies across the globe, and the most intriguing 50 ‘Emerging Stars’ – exciting new fintechs with bold, disruptive and potentially game-changing ideas. While China fintech continues to dominate with four of the top five companies on the list, the report highlights a growing and increasingly diverse fintech sector, with the creation of value in new sub-sectors such as regtech and data analytics, and the continued growth in insurtech and blockchain. China now tops the global rankings – within 3 years, China’s fintech ventures have gone from only one company included in the top 50 rankings in 2014, to this year China featuring 4 of the top 5 companies and 8 of the top 50. Greater geographic diversification – the established 50 list comprises of fintech companies from 17 different countries compared to 13 countries last year, with companies from France, Mexico, South Africa and Singapore included for the first time. Disruptors dominate – 9 of the top 10 companies on the list are fintech ‘disruptors’ (and 46 of the top 50) while overall, the number of fintech ‘enablers’ has risen to 28 (up from 25 last year). Lending returns to the fore – 23 of this year’s top 50 (and 32 in the 100) have business models related to lending (up from 22 last year). Insurtech continues its climb – with 12 insurance fintech companies in this year’s list, almost double last year’s total. Emergence of regtech – with 9 fintech companies focused on regulatory solutions in the list this year. Mega funding rounds – the size of deals/funding rounds above US$1bn have continued to rise, including Ant Financial, Lufax and JD Finance. Aggregate level of capital raise continues to rise – reaching a total of US$14.6bn of capital raised since last year’s report (12 months ago). X-factor (degree of product, service and business model innovation) – a subjective measure that is applied only with respect to companies appearing on the 50 Emerging Stars list.